Obviously, I want to be healthy. If I'm sick, how am I going to get to restaurants, sit up straight for hours and heave the dessert spoon to my mouth? But I don't believe healthy eating should be too complicated. I don't want to count anything, weigh stuff (especially myself) or say no to birthday cake. I know many people are obliged to rule out or restrict certain foods because of their own particular constitutions, but as a happily average human eating-machine I just want some simple tips, ingredients and ideas to keep me fit for the occasional degustation dinner, cheese party (yes, you should have one!) and chocolate appreciation session. ''Eat food, not too much, mostly plants'' is the underlying dictum of author Michael Pollan's Food Rules, an eater's manual for our hydrogenated era. This isn't very good for the diet industry or producers of so-called superfoods but it's an elegant and simple way to think about what you put in your cakehole (apparently, not too much cake). Clinical naturopath Catie Gett is a coco-nut and owner of wholefood haven, the Staple Store in Ripponlea, Melbourne. ''The benefits of coconut are phenomenal,'' she says, pointing to its use in ayurvedic medicine as a gastrointestinal balm, and in trials for anti-fungal and anti-bacterial applications. 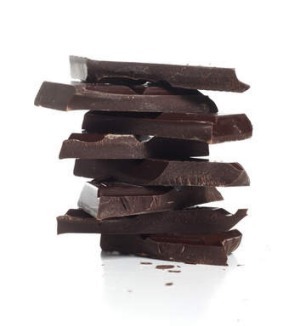 ''It also helps keep you regular and has the potential to reduce cholesterol because it's full of good fatty acids,'' she says. Gett uses coconut oil in stir-fries because it is stable at high temperature; adds flaked coconut to muesli and trail mix; and loves coconut flour for its high-fibre content and its power as a thickening agent in cakes, crumbles and pancakes. Chef Ian Curley was stirred into action when his five-year-old daughter said, ''Daddy, you have a fat belly.'' Since then he's started biking and boxing and become more conscious of what he's eating. ''I wouldn't say I'm on a diet but I'm trying to get healthy. I'm an older dad and I want to live longer for the children.'' Mindless snacking has been his curse. ''In this industry I can eat what I like any time so I have to police myself.'' Key to his program is a trail mix that includes currants, macadamias and other nuts. ''Rather than snacking on chips or a sandwich, I'll have the nuts,'' he says. Try Karen Martini's cinnamon-packed garam masala spice mix. Recipe here. Professor Avni Sali, director of the National Institute of Integrative Medicine, is a huge supporter of olive oil, seafood, spinach, dark chocolate and green tea, but he thinks how we eat is at least as important as what we eat. ''It's the getting together, the social aspects that turn food into superfood,'' he says. ''Communication around the table, sharing issues and unloading stresses are key factors in maintaining health. Storing up problems can lead to stress and depression which leads to all kinds of other health problems.'' That's part of the reason he thinks coffee and red wine are good: yes, people point to physiological benefits, but the fact that these drinks are often consumed in social situations is a big plus. Byron Bay chef and clinical nutritionist Sam Gowing is passionate about turmeric. ''It's my absolute number one ingredient,'' she says. Gowing thinks fresh and ground turmeric assist with immunity, inflammation, eyesight and healing - she'll rub fresh turmeric on cuts. She says turmeric contains curcumin which is being studied for its cancer-killing properties. It's grown in Australia, too, which is a big plus for Gowing. 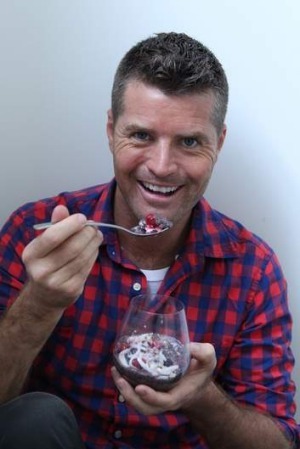 Chef and healthy eating campaigner Pete Evans believes cooking at home is key. Though he was taunted for confessing his devotion to activated almonds in a Sunday Life column, Evans remains a fan of activated (soaked) nuts. ''Yes, we activate our almonds, walnuts and seeds because it makes them easier to digest and they taste better too,'' he says. Evans avoids dairy, gluten and sugar. 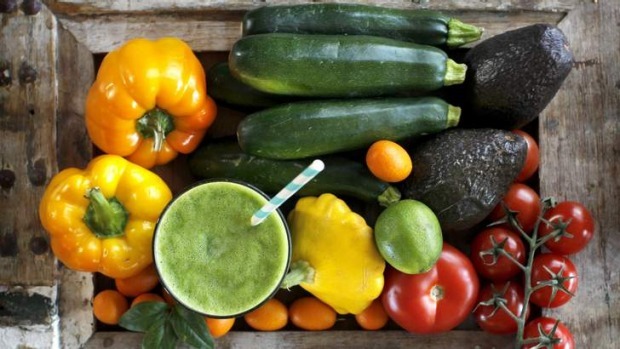 ''All that stuff is unnecessary, with little or no nutritional value and often does more harm than good,'' he says. 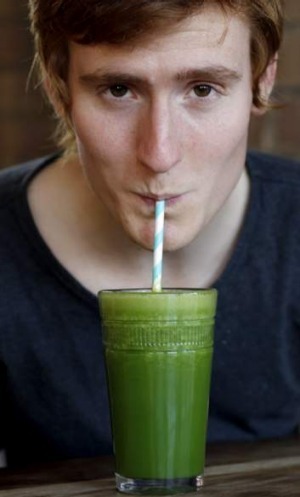 He doesn't really go for detox diets but likes ginger for its cleansing properties. Yes, it's exercise but it also means you lug home fewer supplies at a time. This forces you to really think about what you're buying, means your fruit and vegetables will be fresher, and reduces the chance of losing stuff in the fridge until a few days after it's gone bad. Guy Grossi thinks a good appetite is a blessing and he's not keen on outright denial. ''Eating succulent beautiful roast pork on a Sunday with friends is amazing, but maybe you don't have that every day,'' he says. The age of refrigeration has had dire impacts on our immune systems, according to Dorota. ''The flora of our intestines isn't in good shape but we can help it by eating fermented foods.'' These include sauerkraut, apple cider vinegar and kimchi. Dorota runs a course teaching students how to make 16 different fermented foods but if buying, she cautions people to look for unpasteurised products because pasteurisation kills the good bacteria as well as the bad. 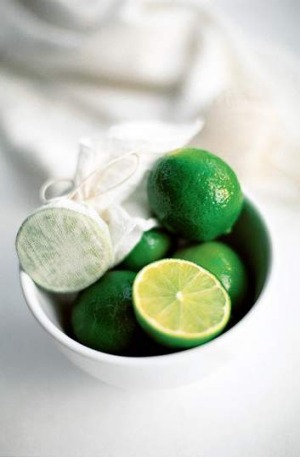 Everyone knows greens are good for you but it doesn't necessarily mean we thrill at the idea of eating them. Good recipes are key, such as a Guy Grossi dish which turns the humble brassica into a delicious side or a light, flavour-packed meal. It's on the menu at Ombra, 76 Bourke Street, Melbourne, 9639 1927. Here's Guy's recipe. Bring a pot of water to the boil. Place the broccolini in the water and simmer until tender, just until a knife easily goes through the stalk. Drain and set aside. Warm the olive oil in a fry pan and saute the shallot and garlic until translucent. Add the broccolini and anchovies and season with salt and pepper. Add the chicken stock or water and cook for a few minutes or until liquid is reduced by half. Serve the broccolini with a generous grating of parmesan cheese. Great books include Simon Bryant's Vegies, Madhur Jaffrey's World Vegetarian, Damien Pignolet's Salades and anything by Yotam Ottolenghi, Karen Martini and Stephanie Alexander. The comment on this story judged to be the best by the goodfood.com.au editor will be published in The Feed in the Epicure and Good Food print sections next Tuesday and win $100 in prepaid cards courtesy of eftpos. Comments will close on this story at 4pm AEST today. I've spoken to health professionals and chefs and steered clear of crackpot websites (30bananasaday.com!) and I reckon this is a hopefully healthy, fairly fad-free and tasty basic shopping list. It's actually surprisingly simple.